Best Propane Generator Reviews: What is The Best Propane Generator On The Market? Propane generators are undoubtedly some of the most useful equipment any home should have. Besides being lightweight-come with standard 20 to 30-pound propane tanks they deliver impressive runtimes just like their gasoline counterparts. What does this imply? A user is accorded the simplest way to turning on power during an emergency. All a user has to do is turn on the tank valve and room! The generator starts! Read on for best propane generator reviews complete with a buying guide necessary to get your ideal propane powered generator. 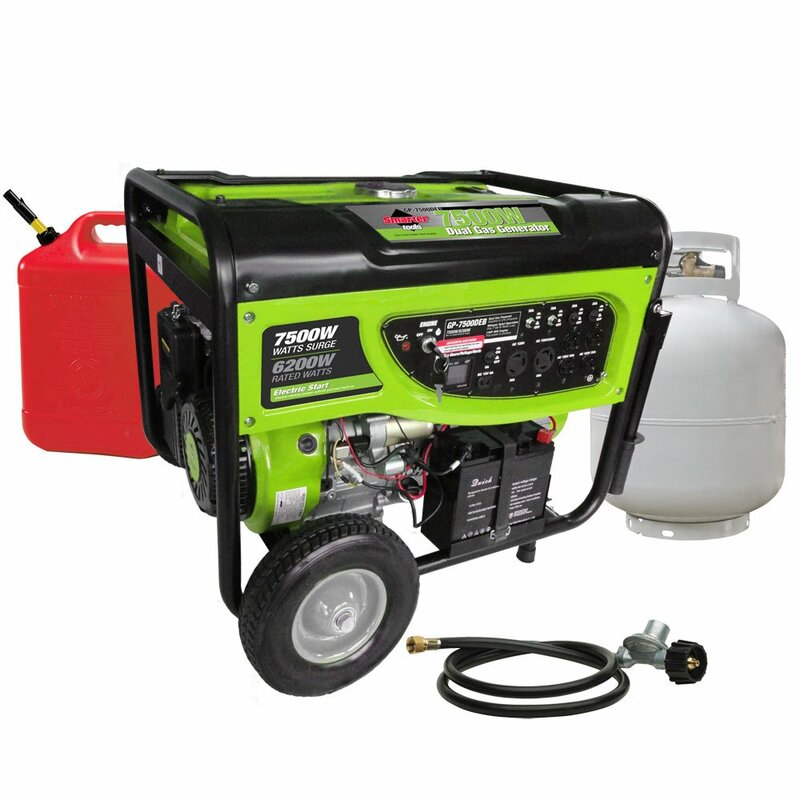 Why Should I Buy The Portable Propane Generator? Propane rarely “spoils” – When liquid propane is properly stored, unlike Gasoline, it has an unlimited shelf life. Gas, on the other hand, has been found to go “stale” after a period of about one year. This property makes propane the best fuel source for individuals who need backup power once in a long while. With gasoline, a user has to shop every time they there is occasional grid failure. This is especially the case when grid failure happens once in a blue moon. Note too that during widespread power outages, gasoline may not be available since gas pumps use electricity from the grid. Convenient cold starting – Cold starting a seldom-used propane generator is a lot easier compared to its gasoline counterpart. This is because burning gasoline produces significant gum deposits in the carburetors which are totally unavoidable. The deposits are especially an issue for generators used once in a while for emergency purposes. Propane backup generators, fortunately, burn efficiently without “gumming up” even when it is not used for years. It is for this reason that propane generators easily crank up far much better than gasoline generators whenever an emergency occurs. Burns very cleanly – Those who mind the air quality will find propane generators a real deal. Air quality is determined by the presence of irritating fumes in the air. Propane happens to be a much less air contaminating fuel since it generates insignificant carbon monoxide, unlike gasoline. While this does not imply you should run your propane portable generator indoors, the fact is, they are friendlier to both the environment and its users compared to portable gasoline generators. How Can I Find The Best Propane Generator On The Market? Finding the best propane generator for home use implies figuring out carefully your specific home value ratio. Put your budget into consideration to know the generator price that you can afford. With that price in mind, search for the generator with the highest wattage possible. Be sure to look at both the starting and continuous running watts so you can have protection against a device surge should it occur. Generally, the higher the cost of a generator is, the higher the output power (watts) it will produce. Should read: What size generator do I need? If you are planning to power vulnerable appliances, you need to put this into consideration as well. Look for a propane generator that outputs consistently clean power that does not change even when the load is increased. Such a generator will enable you to power all you appliances including the most sensitive ones. That way, you remain productive even during power outages. The following are various types of crucial features that you should put into consideration. Portable propane generators typically include a place where you can put LPG tank. This ensures that they can easily be transported from one place to another. All a user has to then do is connect the fuel line directly to a propane tank. Provided the connection is secure enough, power generation should start almost immediately. When there is a power outage, this type of generator starts automatically without your intervention. This is ideal for persons who travel a lot. Note that generators in this category require professional installation. This is because they wire into a home directly. They generally sit in a water-proof housing adjacent to a home with a permanent fuel line linking it to a propane tank. Some, nonetheless, require a gravel base or a concrete pad installed for efficient operation. Be sure to find out from our reviews below if your preferred propane generator has concrete base requirements. After fueling, your generator will generate power and make it available by feeding it directly to your grid. Alternatively, the generator can supply power via its 120V or 120/240V outlets in which case an extension cord is necessary. 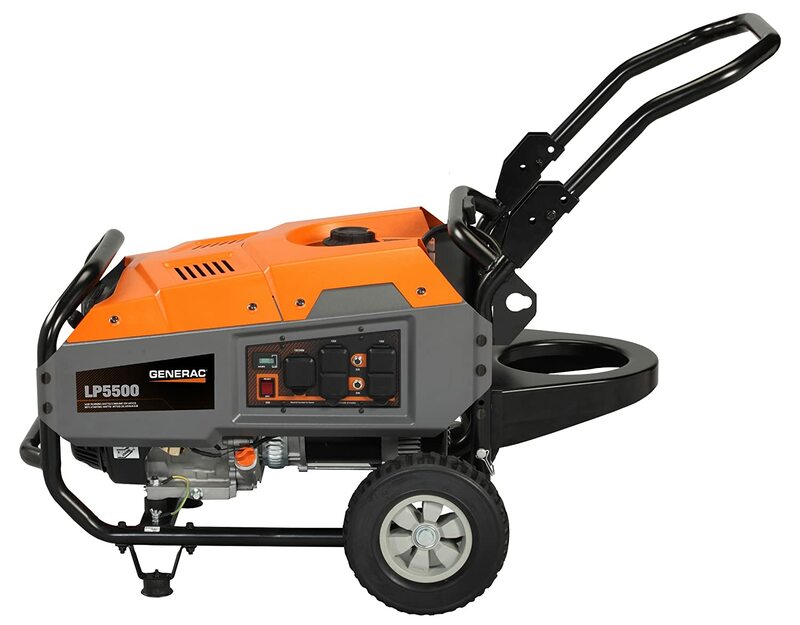 Sportsman GEN400LP can power all power tools and common household appliances. Besides being RV ready, it comes with one 120V RV plug, a 12V DC outlet to charge batteries, and two 120V outlets. It is, therefore, ideal for tailgating parties, small camping or for supplying temporary emergency power. It has a 7 horsepower 4-stoke Overhead recoil start the engine. As for the price, the generator is affordable yet well throughout. It has inbuilt full-featured options that include automatic low-oil shutdown as well as an automatic voltage regulator. The generator takes pride in having an impressive runtime of a whopping 10 hours at half load. It uses a common 20-pound cylinder (gas grill type). Note though that an LPG cylinder is not included. Five feet propane fuel pipe complete with a regulator system is, however, included for extra convenience. Its engine is also amazingly quiet, running at a noise level below 68 decibels. EPA approved and hence guaranteed not to damage the air quality and the environment. It does not come with the wheel which would have otherwise taken its portability to the next level. Its 1-year limited warranty is somewhat on the lower side for a great generator of its caliber. If you need affordable power, Sportsman GEN400LP is ideal for you. It uses propane the fuel that comes with many distinct advantages. It, therefore, burns cleaner than other gas powered generators besides its carbon monoxide emission running up to 40 percent lower. You also keep many propane tanks on standby for an emergency since you can store them indefinitely. 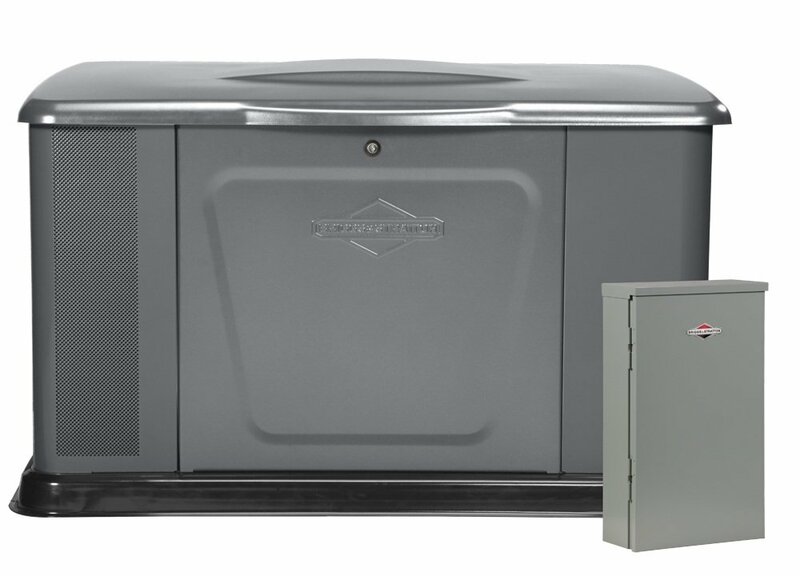 Generac 6000 is ideal for outdoor events, job sites or camping. It is also appropriate for use at either for a project or as an emergency backup. 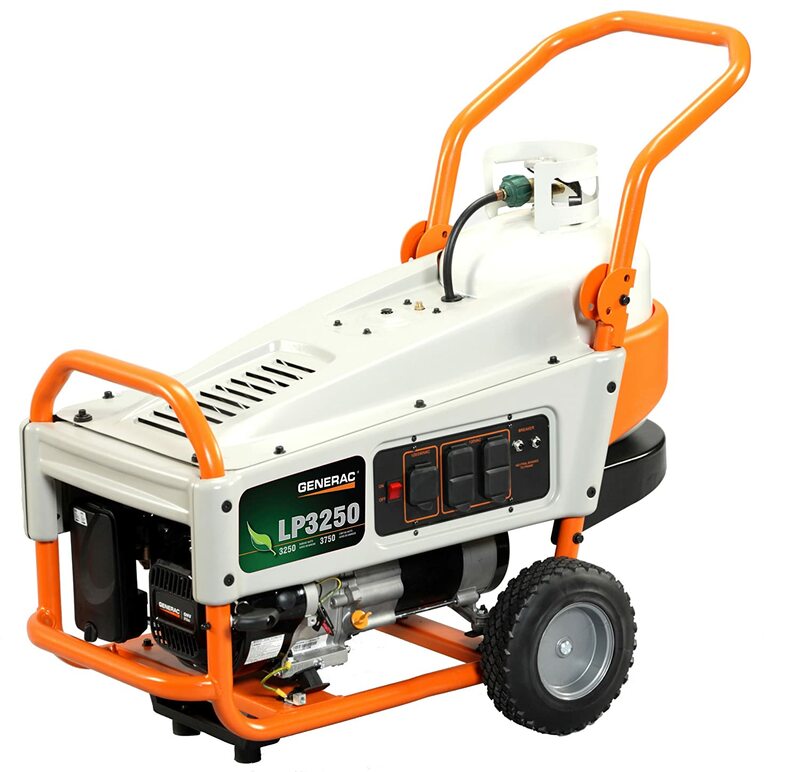 LP3250 comes with a tank holder attached to its frame. This is intended to enable the propane tank to sit securely out of the way eliminating the need for a stand-alone tank. It generates 2,000 Watts surge and 1,600 W running. Besides it has 79.7 cc, 4 stroke Overhead Valve engine that operates at a very quiet 51 decibels. This is a noise level in the range of an average conversation. This limits its intrusiveness while camping, tailgating, hunting and even while restoring backup power. Its 20-pound fuel tank enables the generator to run continuously for as long as 9 hours. 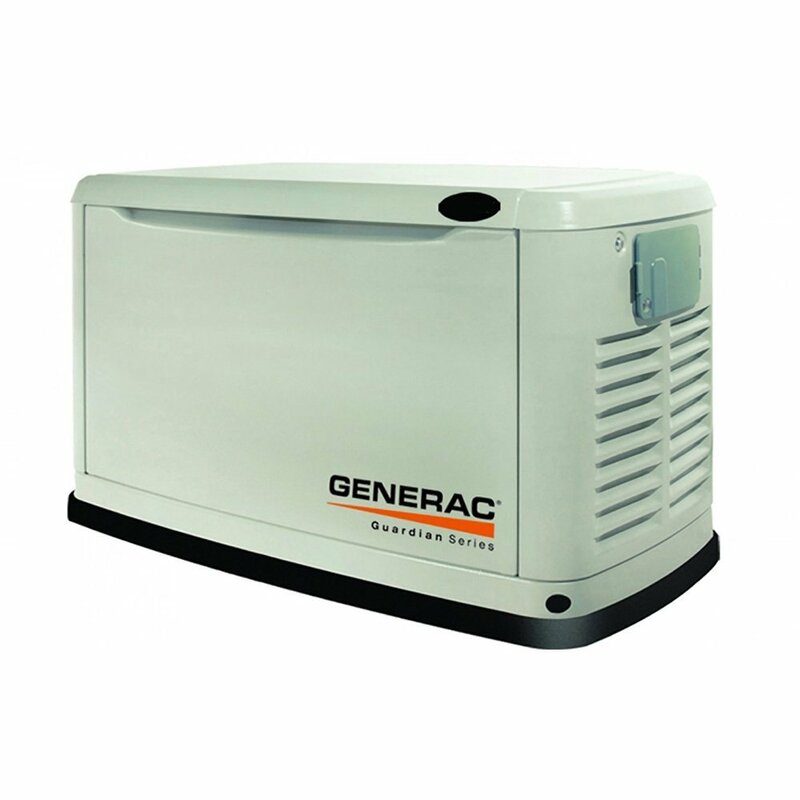 Generac’s LP3550 is undoubtedly the first propane generator that delivers the benefits of propane fuel besides having an easy-to-transport design. What is the outcome? A surprisingly easily maneuverable and compact portable generator, that is perfect for a wide variety of uses. Prior its inception, the only available options needed the propane tank to be transported to the site separately. The tank would then sit adjacent to the generator while it (the generator) is being used. Generac 6000 transformed the way of doing things thanks to its very attractive features. XP4850EH delivers unparalleled versatility. Besides the quick and reliable start typical of all propane generators, switching from the usual gas to propane takes seconds. It also has a spring line. As such hooking up any size of a propane tank, the one from the grill included is very simple. It is a hardy generator and comes with a powerful 210 cc Horsepower air-cooled 4-stroke engine. An engine of these specifications outputs enough power to execute virtually all outdoor camping and household activities such as lighting. Besides, it has a full feature output panel complete with various ports for different outputs and sockets. 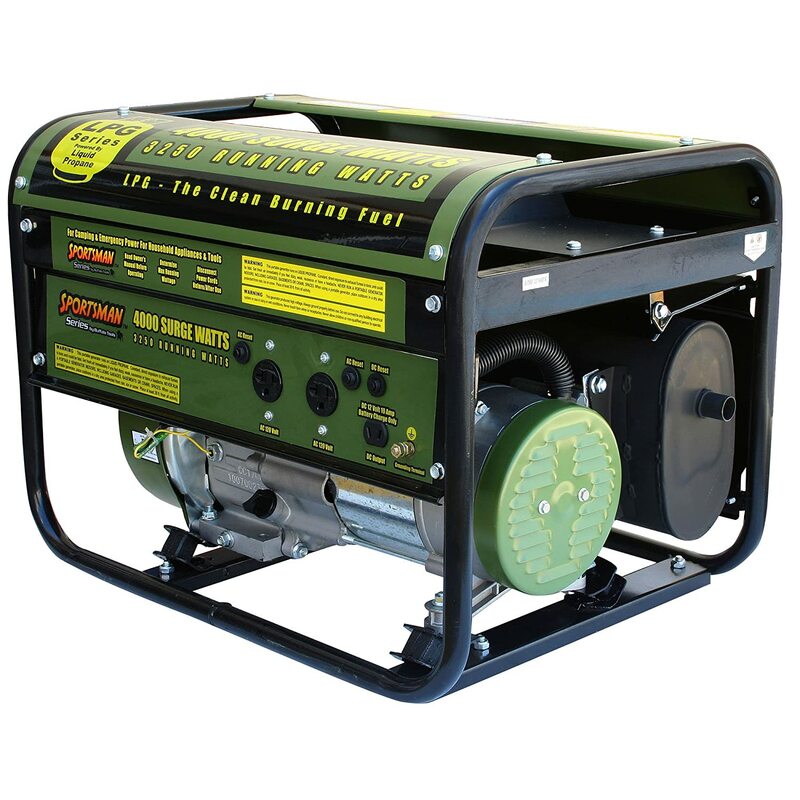 The generator has several other features designed to enhance usability, convenience, and safety. Examples include a silencer, that reduces the noise levels a great deal and a voltmeter. The voltmeter gives you a visual display of power output. Bi-fuel capability – a user either propane or gas, a feature that gives XP4850EH an edge over its competitors. You have the option to not only choosing the type to use but also mix them depending on your situation. Useful control panel and power output nothing beats a machine that gives its user an interface. XP4850EH comes with a power panel that accords you different ports through which you can tap power from the generator. This will come in handy during camping when there are no enough extension cables. Fuel efficiency – the generator conserves fuel and hence will definitely give you value for money. It can also operate non-stop without significant variation in its output. On increasing the load the machine becomes noisy necessitating taking it far from settlements. The end result is, the generator requires cables. The noise level at full load is too huge for users to maintain a normal conversation. Its dual fuel system tends to be costly compared to generators equal power output. This, however, raises the initial cost only. 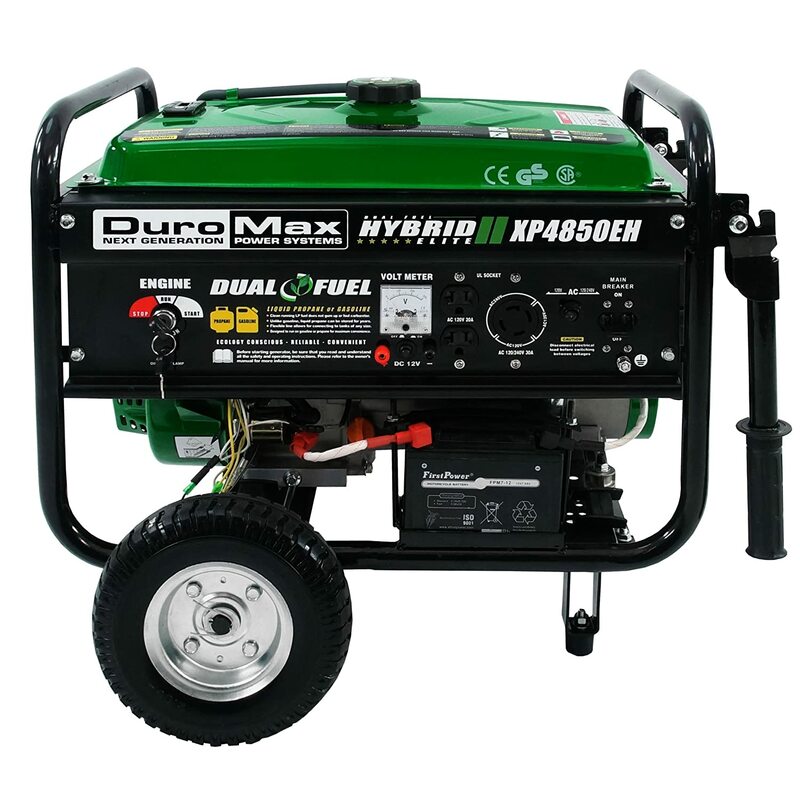 Duromax XP4850EH is a hybrid generator that allows users to either use gas or propane. This dual feature enables a user to choose their preferred fuel type. It also prolongs the use of the generator in the event one fuel type runs out. Besides, XP4850EH has high environmental friendliness, a key pointer of its impressive efficiency. It is, therefore, not surprising that it has been certified for use both in a game and national parks. 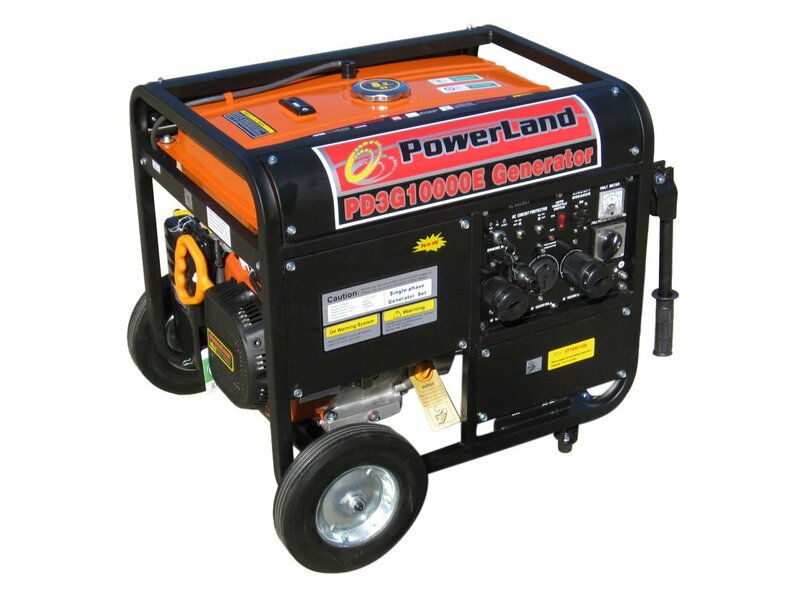 Powerland PD3G10000E is a tri-fuel and portable generator made of a very powerful 16 HP engine. It is capable of supplying 10,000 W of peak power and 8,000 Watts effective power. PD3G10000E features an air-cooled overhead engine complete with 4 point isolation design and hence has smooth operation and extra durability. The generator is perfect for supplying home backup power that can run a fried, cooker, a heater/AC and HDTV. If you are a contractor looking for a dependable power source Powerland PD3G10000E is ideal for you. Its sturdy design can withstand rough outdoor use and will last for very many years. It is also packed with a myriad of safety features. These features are designed to ensure the safety of your appliances as well as that of the generator itself. For instance, there is a circuit breaker that situated on its panel that makes the generator shut down whenever it is overloaded. The generator has an inbuilt muffler feature that greatly reduces the engine noise level to acceptable levels. It is CARB and EPA compliant. EPA compliance implies that it can be used safely in any game or national park in US. CARB compliance means it does not emit harmful fumes that have the potential of endangering the health of its users. Assembly of Powerland PD3G10000E is super easy. You only have to fit the wheels and handles followed by oil and gasoline refill and its will work nicely. It is also far less noisy compared to other conventional generators. Not quite portable. Weighing a whopping 250 pounds, it is one of the heaviest generators in the market. It, nonetheless, features a wheel kit to mitigate this a little. When LPG and natural gas is used to power the generator, starting it is not as easy (as using gasoline). You have to open the choke first to start it. Once the choke is jiggled, the generator runs just like any other generator. Powerland PD3G10000E is a wonderful performer with substantial power reserved finishing project and for home backup as well. Its tri-fuel capability delivers superb flexibility since any on these-Natural Gas LPG and Gasoline can be used depending on their availability. Its pricing is also too low considering its high performance and great features. 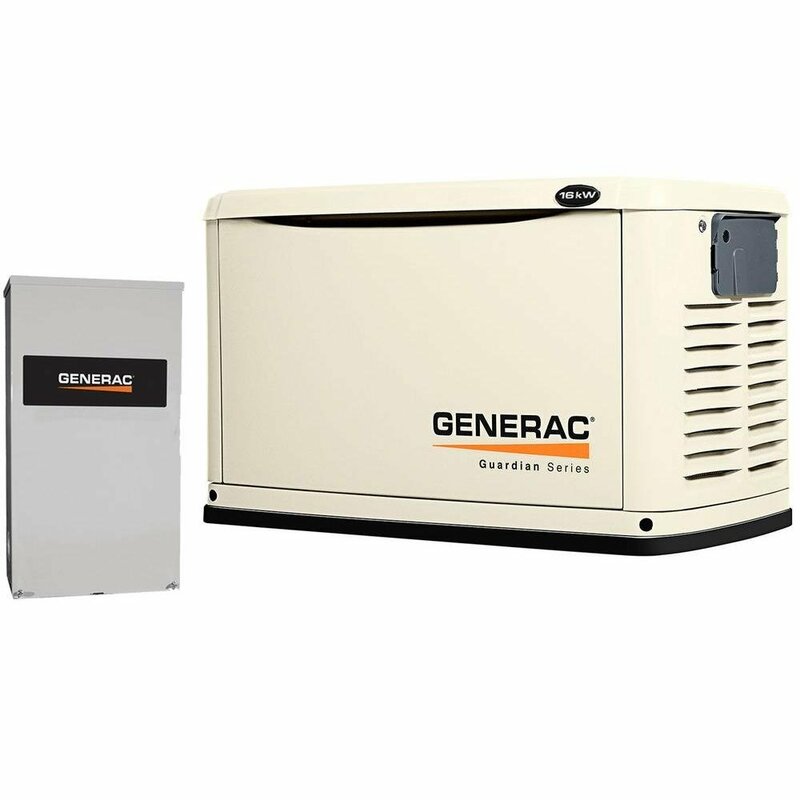 Genera 6438 generator provides automatic backup power to support all your home appliances whenever there is a power outage. By connecting it to your existing fuel supply it can easily kick in automatically within of seconds of power loss. The generator runs for as long as it is necessary till your utility power is restored. Its tool-less fuel conversion permits easy switching from natural gas to LP and vice versa while using it in the field. Its OVH engine is also purpose-built and runs reliably for long periods, outputting. Impressive five year limited warranty coupled with round the clock customer care support. This is by far the most extensive warranty period, with most manufacturers extending a three year warranty. Fitted with best-in-class power quality in addition to it less than 5 percent total harmonic distortion. The implication of this is a clean and smooth operation ideal for even the most sensitive appliances. It has Mobile Link cellular distant monitoring system. A user is, therefore, able to check the generator’s status by use of a tablet computer or smartphone. This is handy addition is, however, sold separately. The generator is costly. While this is expected considering its output, it still is a deterrent for some potential clients who are on a lean budget. Like most standby generators, it requires a short periodic run time to ascertain that the unit is properly functioning. The unit’s 11kW self-test lasts, nonetheless, for a mere 12 minutes. Users are advised to choose, monthly, biweekly or weekly schedules depending on their time personal schedules. Genera 6438 generator supplies you with backup power for all your essential circuits. These include well pump, water heater and a 3 ton air conditioner. Take advantage of its non-cellular remote sensing to monitor the status of your generator while comfortably seated inside your home. Ultimately, Genera 6438 delivers performance and convenience better than many other generators in the market. Conclusively, a propane vs gas generator contest is won by propane generator first round. Why? While gasoline is an inexpensive fuel, it is unfortunately not the most convenient source. Care and maintenance of gas-powered generators include always ensuring there is fresh fuel on standby, adding fuel stabilizer. Running the engine for some time every month or draining the lines and fuel tank from occasionally is also inevitable. As shown in the above best propane generator reviews, propane generators solve all these problems and offer many other benefits. How? You can use and store liquid propane indefinitely; the fuel doesn’t simply go bad. 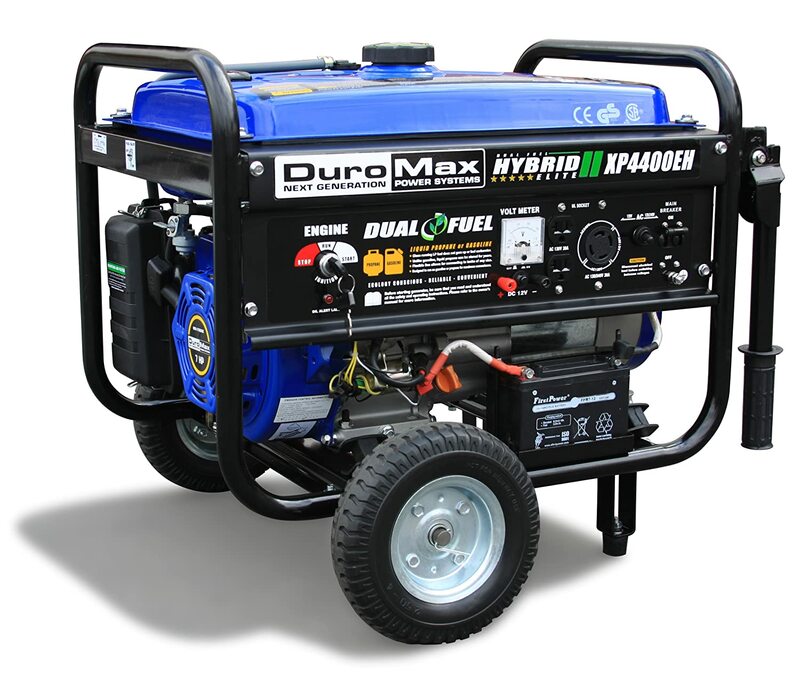 The worry of the generator gumming up as a result of old gasoline is never an issue with propane generators. Additionally, refueling is a lot simpler and safer; just remove the propane tank and replace it with a full one. Are You Looking For the Best Inverter Generator Reviews?